TransAsia GE235 crashes after take off! An ATR72-600, has crashed shortly after take-off while on route from Taipei Sung Shan to Kinmen Shang-Yi Airport on Wednesday morning. The flight lasted only three minutes after the airliner came down in Keelung river near Taipei. The aircraft ATR 72-600 came down in Keelung river It‘s known that 58 people were on board including 3 pilots. Approximately 170 emergency staff have been deployed to assist in the rescue. Trying to find the cause of #GE235’s crash Taipei’s fire department has confirmed that 23 people were killed: "As at 6pm, 23 people have been confirmed dead - 14 of them died on the spot, and nine succumbed to their injuries before arriving at hospitals, according to fire department officials at the wreckage site. Twenty people remain missing, while 15 others are injured." The aircraft, ATR 72-600, was only 10 months old at the time of the crash. 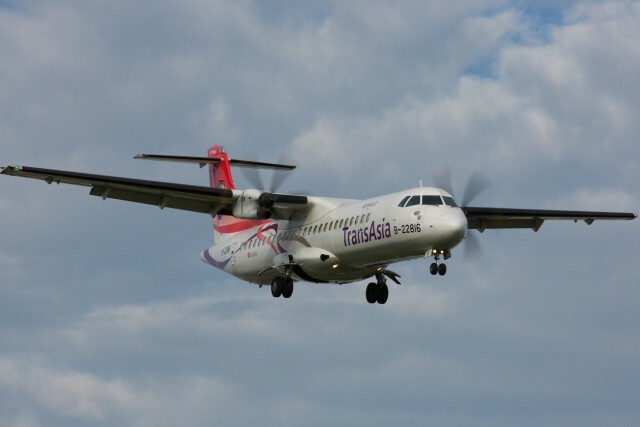 TransAsia ATR72 B-22816 It is confirmed that the pilot flying the plane had nearly 5,000 hours of flight experience. His co-pilot had nearly 7,000 hours. The cause of the crash is unknown. However, the flight recorders have been recovered from the wreckage of the plane, according to Channel News Asia. The chief executive of TransAsia, Chen Xinde, has publicly apologised for the crash. Video from RT shows the damage done to the bridge and a taxi before flight GE235 crashed into the river. https://www.youtube.com/embed/43lFllZ7ehY This is not the first crash of a TransAsia flight. In 2002, an ATR 72-200 from Taipei to Macau, flight GE791, crashed due to ice conditions. In 2014, 48 people were killed when a flight from Kaohsiung, Taiwan attempted to land in the Penghu Islands. There were 54 on board.